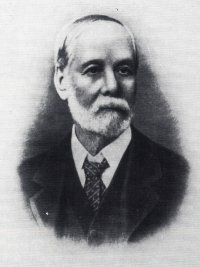 Edmund Walcott Fosbery, the Inspector General of Police, responsible for forming the Criminal Investigation Branch in 1879. Edmund Walcott Fosbery, the Inspector General of Police, responsible for forming the Criminal Investigation Branch in 1879, was born at Wootton near Gloucester, England, on the 6th February, 1834, the son of Commander Godfrey Fosbery, Royal Navy. Edmund was educated at the Royal Naval College, New Cross, and at the age of 13 years obtained a scholarship, entitling him to a commission in the Navy. He did not accept this but on leaving school was for some years secretary to a firm of Solicitors. Fosbery came to Australia in 1852, and on the 10th February, 1853, obtained an appointment as a cadet in the Police Department of Victoria, under the Chief Commissioner of Police, Captain Standish. On the 1st November, 1853, he was appointed chief clerk in the office of the Chief Commissioner. When the New South Wales Police System was being remodelled by the Premier, Sir Charles Cowper, in 1862, Mr Fosbery was invited to come to Sydney and assist in putting the new organisation into operation. He accepted the invitation and was appointed Secretary to the Police Department with the rank of Superintendent and to Act as the Deputy Inspector General of Police. He was appointed Inspector General of Police on the 7th October, 1874. He carried out the duties of office with marked ability and held the position of Inspector General until the 30th June, 1904, when he retired. Immediately prior to leaving the Police Force he was created a Companion of the Order of St. Michael and St. George and on his retirement was made a member of the Legislative Council. He died at his residence ‘Eaton’, Bayswater Road, Darlinghurst, at the age of 85 years on the 1st July, 1919.